Tired of cookie-cutter houses that all look the same? 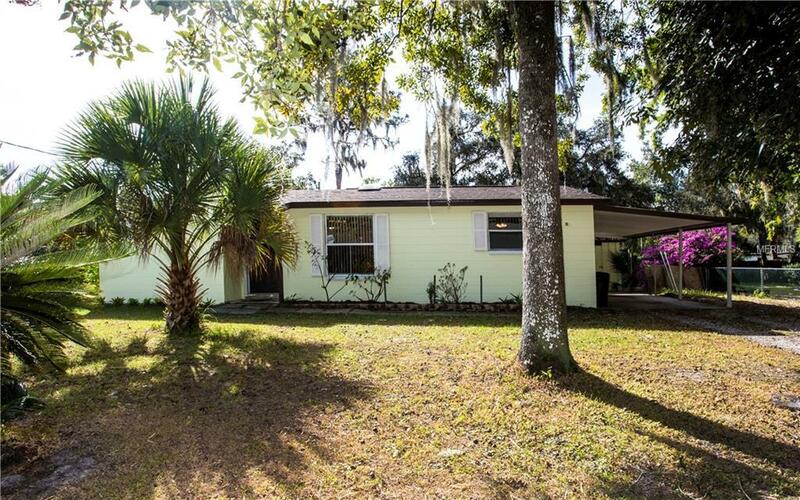 Check out this charming and eclectic home, close to the Alafia River. No HOA fees so bring the boat as you are only minutes from the Riverview Park boat launch. Nestled on a quiet street, this home sits on over a quarter acre lot with a fully fenced yard. The ROOF and AC are only 5 YEARS OLD! Enter the front door to the great room with ceramic tile floor and open to the kitchen, which offers stainless steel appliances, wood cabinets and a pretty backsplash. Move past the kitchen to the dining room, with a pass through from the kitchen and room for built-in shelves. A slider leads to the Florida room that looks like Old Florida---beautiful pine board walls and ceiling! So nice. Off the Florida room is a utility room--washer/dryer included and room for extra storage! Out the French doors from the Florida room and you are in your large backyard with an open porch and lots of oak trees. Fully fenced. There are many possibilities with this home to make it your own! Close to Hwy. 301, shopping and restaurants. Close to Gibsonton Road for Interstate access. Check this home out today!